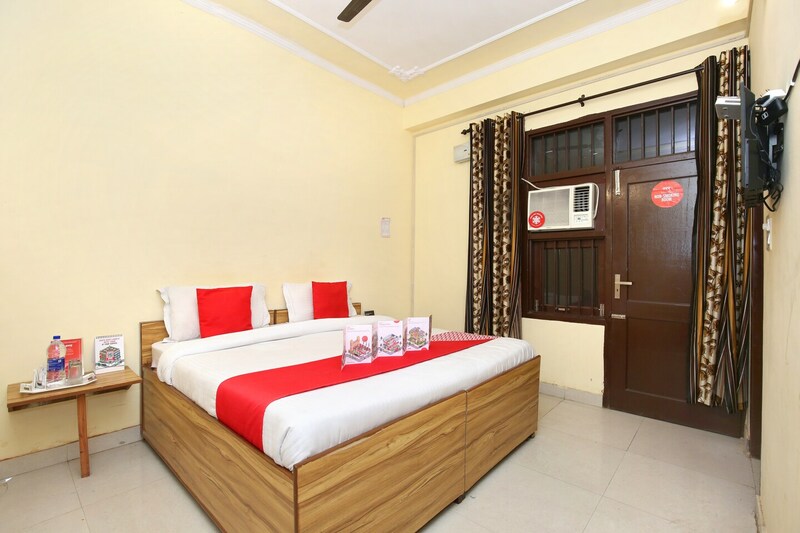 Skyheights provides comfortable and delightful stays at pocket-friendly prices. The rooms are entailed with pretty interiors with appealing patterned curtains, bright cushions, and wooden furniture. Fully furnished with essential amenities that make up for convenient stays for guests, the rooms are clean, well-lit and spacious. The hotel is equipped with free Wi-Fi to browse high speed internet at no additional cost, parking facility for keeping your vehicles safe, CCTV surveillance throughout the premises, card payment option to book your room, and seating area.